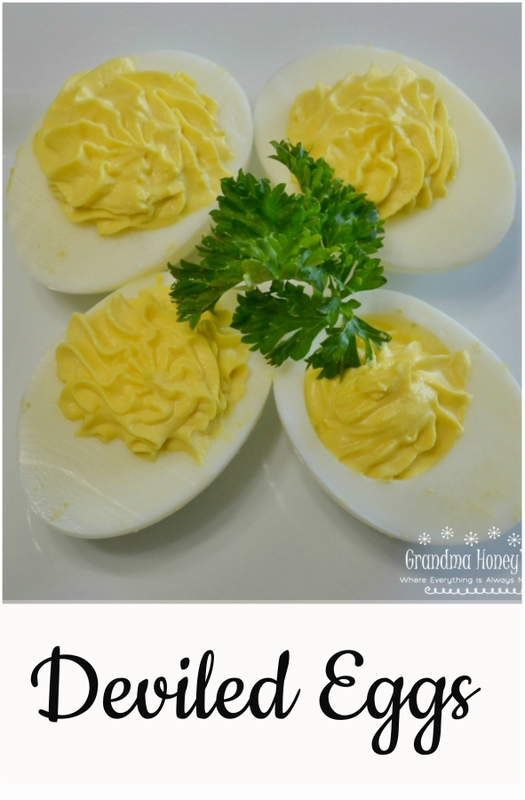 There are so many recipes for Deviled Eggs that people use, and they are really delicious. I have noticed that a lot of my friends use avocado, bacon, or relish in them. My mother always used a filling that included a little vinegar in it. My husband is not too adventurous with deviled eggs except when it comes to adding relish. This is now his favorite way to enjoy them. I seem to make them for every occasion. They can be made a day ahead of time, but I would be afraid to keep them any longer, as they start to get watery if made too early. Here is my basic technique and recipe. 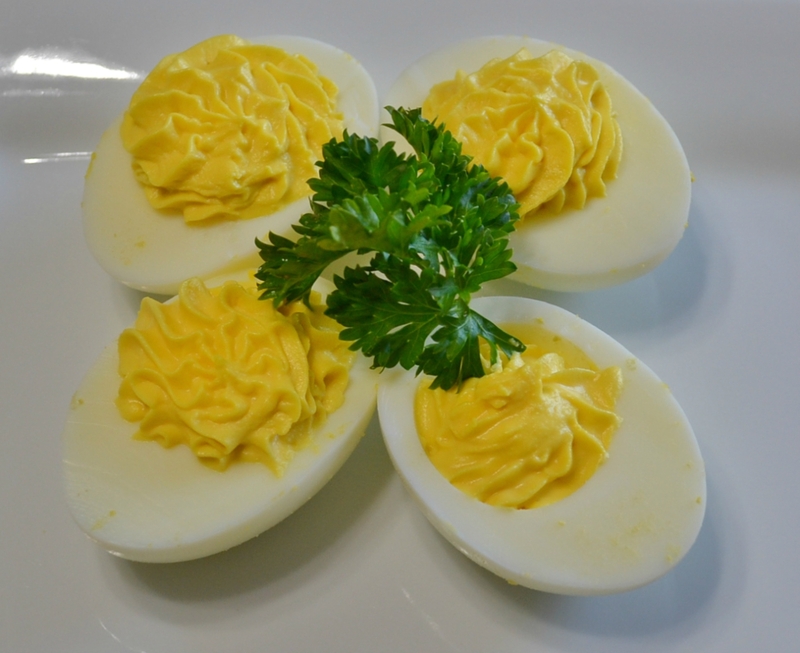 Just start by gently boiling large or extra large eggs 20 minutes. Drain and place in a pan of cold water. Cut each egg in half, remove yolk with a small spoon. Place yolks in a bowl. Mash yolks with a fork to break them up. I use a hand mixer after that to get the filling smooth. hand using a fork, or hand mixer until smooth. 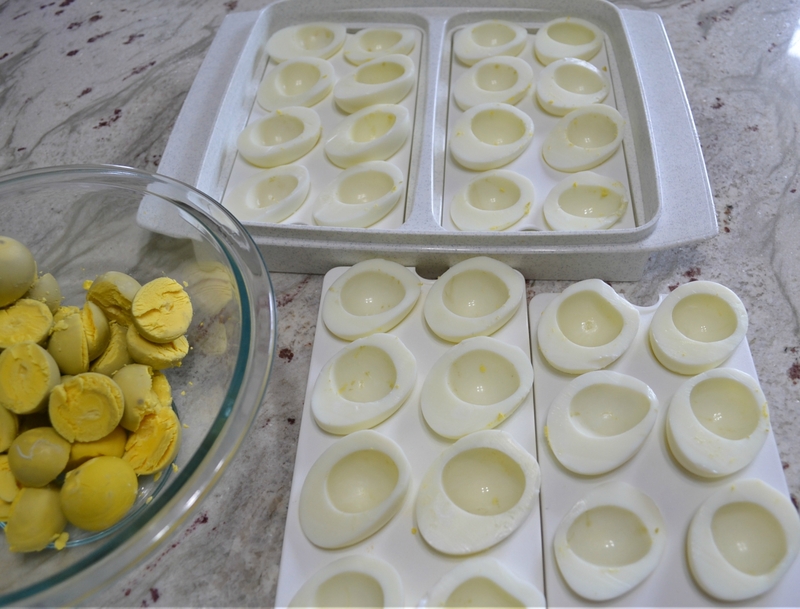 Place mixture into a pastry bag, clip the end, and evenly fill the eggs. You may also just fill the eggs using a spoon. Some variations are crumbled, crispy bacon, or a little relish. I cut back a little on the mayo if adding relish. 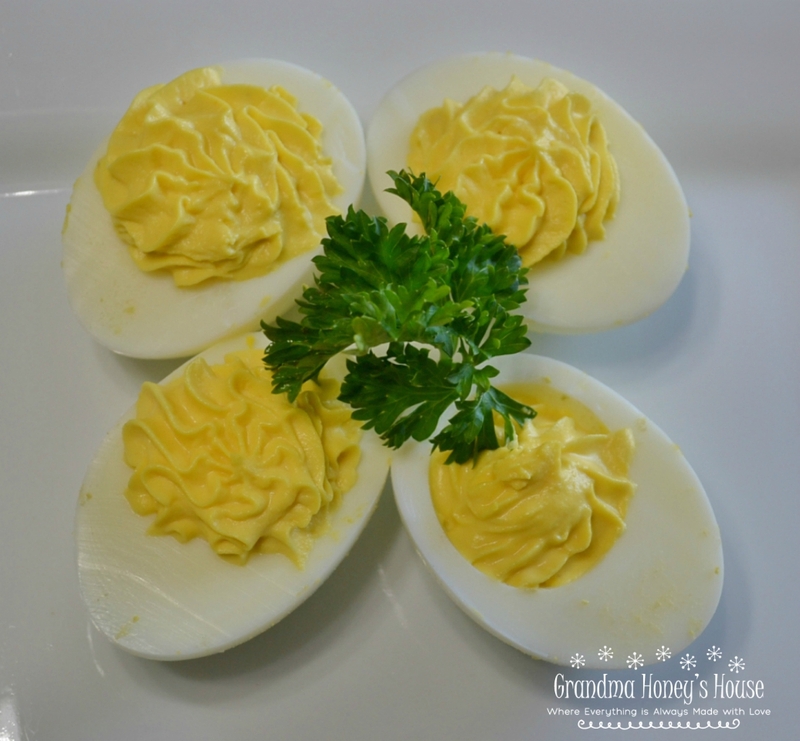 Arrange on a platter or container made for Deviled Eggs. Some common garnishes are a sprinkle of paprika, a small dish of mini pickles in the center, or parsley. even made as few as 2 eggs for just my husband and I. 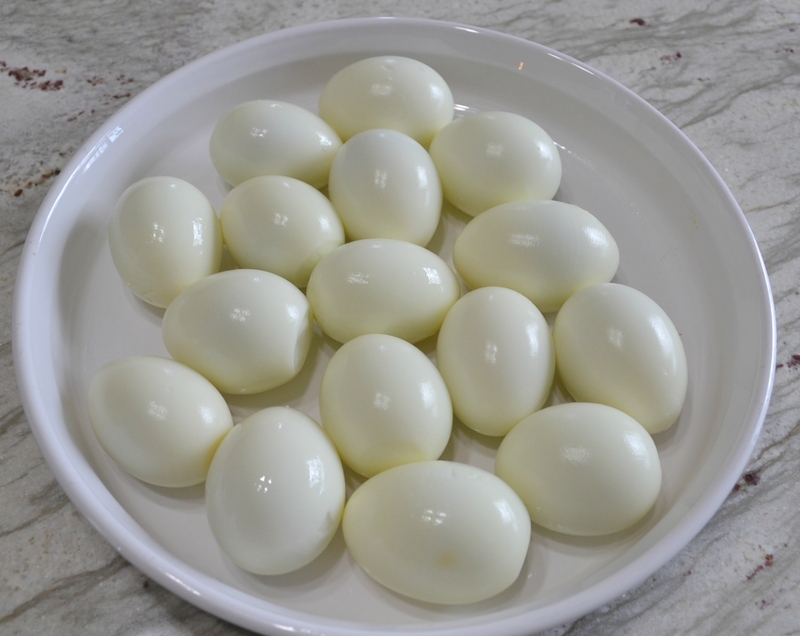 Place eggs into a large saucepan, cover with cold water. Bring to a boil. Reduce heat and cook over a low heat for 15-20 minutes. Maintain a gentle boil. Remove from heat and place in cold water. Allow to set about 5-10 minutes. Carefully peel the eggs. Cut in half lengthwise. 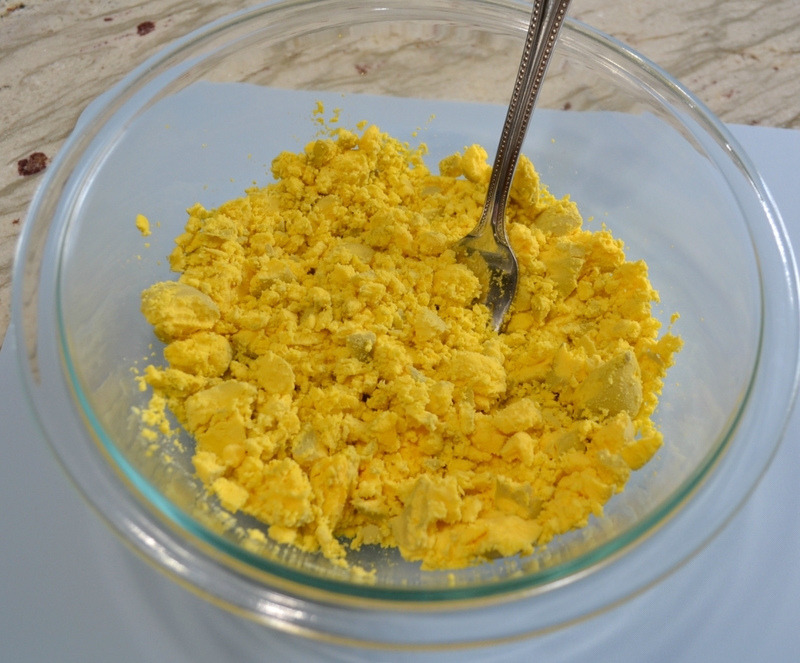 Scoop out the yolks into a mixing bowl. Mash yolks with a fork. Add the mayonnaise, mustard. Combine until smooth, using the fork or an electric hand mixer. Stir in any additional ingredients being used. Place mixture into a pastry bag, clip end, and evenly fill the eggs. May also just fill using a small spoon.